Kathi had a good show at Sentower Park in Belgium this weekend. 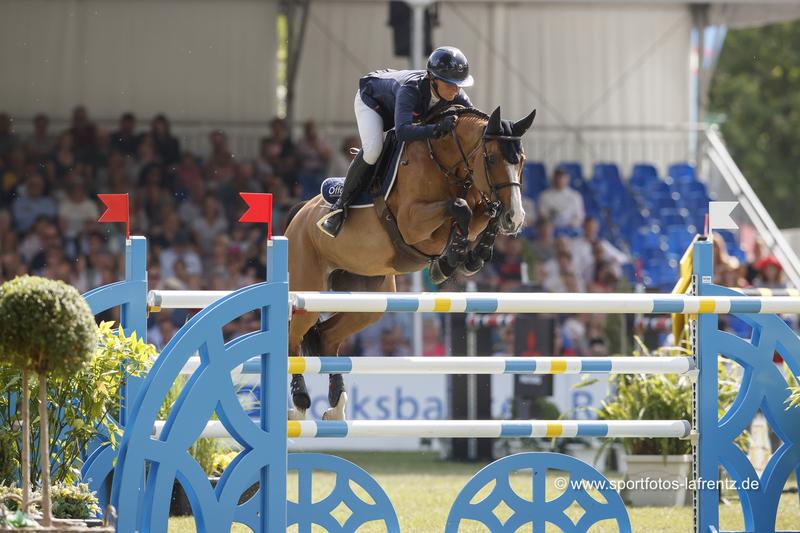 After jumping with an unlucky rail down in Friday's 1.50m Longines Ranking class, Elien yet again showed her talent when delivering one of only five clears in Sunday's 1.55m CSI3* Grand Prix. In the jump-off, Elien jumped another beautiful and fast clear to end third. Amarit D'Amour had an unfortunate pole down in Saturday's 1.50m class, but was still placed as there were only four clear rounds. Casper J&J Z was clear and placed in all his classes, while Chaning Tatum also delivered three out of three clears - placing in two of his classes. Kathi's stable rider Louis Wood also had a super show, and was clear all the way with the promising 6-year-old stallion Condor du Tyl by Kannan x Le Tot de Semilly. On Sunday, Louis closed off with another clear round - this time on the 6-year-old Haydn by Zambesi TN x Kojak.